Dynamite Tool Co. is selling this Jorgensen Adjustable 3″ Hold-Down Clamp for $10.25. 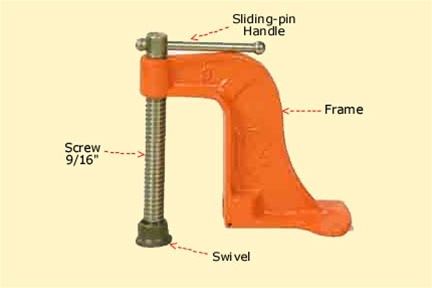 Used to clamp objects to a machine table or any bench top, it slides on and off the hold-down bolt and grips strongly, and you can rotate it 360 degrees around the hold-down. We have some Wilton All Weather vises mounted on the bumpers of some of our trucks – but we may try this too.